Amber Bowman accepted an assistant coaching job at the Indiana University-Purdue University-Fort Wayne, resigning as head coach of the RedStorm after just one season. 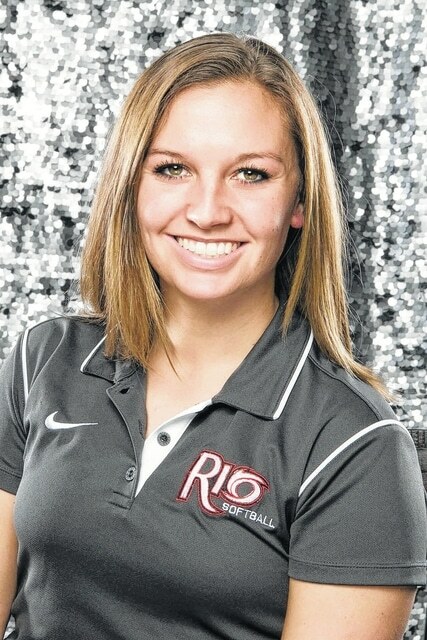 RIO GRANDE, Ohio — Amber Bowman, who guided the University of Rio Grande softball program to a Kentucky Intercollegiate Athletic Conference tournament championship and the school’s second NAIA National Tournament berth this spring, has announced her resignation as head coach of the RedStorm. Bowman, who informed Rio Grande athletic officials, her players and assistant coaches of her decision late last week, is leaving to become an assistant coach at NCAA Division I Indiana University-Purdue University-Fort Wayne. Bowman, a native of Hebron, Ohio who received a Bachelor’s Degree and a Master’s Degree from Rio Grande in 2011 and 2013, respectively, returned to lead the RedStorm in July 2014 after former head coach Kristen Bradshaw had resigned the position two months earlier. Bowman, who served as a graduate assistant coach under Bradshaw in 2012 and 2013 before taking an assistant coaching position at the University of Northwestern Ohio in 2014, led the RedStorm to a 32-16 finish – the most victories in a single season since 2004, when the program won a school-record 40 games and reached the NAIA Tournament for the first time. Rio Grande reached the national tourney again this spring in its first year as a member of the Kentucky Intercollegiate Athletic Conference, ousting Indiana University-Southeast, which had won four straight KIAC regular season titles and three straight KIAC tournament titles. The RedStorm beat the Grenadiers twice in the KIAC tourney after being swept in a four-game series by IU-S just two weeks earlier. In the national tournament, Rio upset No. 7-ranked Campbellsville before being eliminated by losses to regional site host – and 16th-ranked – University of South Carolina-Beaufort in the winner’s bracket final and to Campbellsville in the loser’s bracket final. Bowman, a two-time All-Mid-South Conference selection during her playing days at Rio Grande, admitted that the success enjoyed by the RedStorm this Spring – and the prospects for continued success in the future – was the most difficult hurdle in making the decision to leave. Lanham said the process of finding a new coach will begin immediately. Randy Payton is the Sports Information Director for the University of Rio Grande and can be reached at (740)245-7213.